Katie: Tim Riggins is ridiculously good looking. Bestie: I would seriously live in a trailer with him and cook his dinner. Katie: I know. I wouldn’t care if he smelled. Bestie: No, it wouldn’t matter. It wouldn’t matter if he didn’t do anything in life either. I would just take care of him. I was on bed rest the first trimester of my pregnancy and Friday Night Lights was my constant companion. Aside from Tim Riggin’s manliness (cue huge eye roll and bicep flex from my husband who is equally as manly), the story line is well written and addictive. The characters could be your neighbors and you fall in love with them. If you know me well, you know that I have a creepy inclination to sort of believe characters become my friends. These characters were so close to my heart. Lying there, worrying that the tiny one would not make it if I moved very much, this show relieved my mind of all of the things that could go wrong, and what it would emotionally cost me if things did go wrong. I laughed with them, pumped my fist with them, and cried watching their personal tragedies. I had strong urges to say things like “Texas Forever” instead of “yes” as my answer to something. It is without a doubt, the best show I have ever seen. Should you find yourself laid up or needing a new tv show now that summer is approaching, try it out on Netflix. P.S. “Riggins” is included on the bestie’s business card. Today’s post is dedicated to little luxuries for your man. I had some making up to do. It was totally worth it, by the way. The items below are tested tried and true by some of the most important men in my life. Lululemon game on boxer briefs, $24. The men said they were too expensive to buy themselves, which makes them perfect for gift giving. The fit is great and the colors are vibrant. The packaging is nice as well, no pun intended. 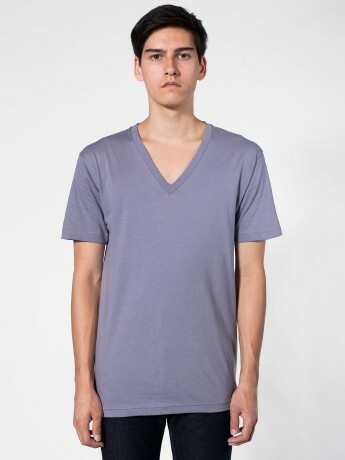 American Apparel V-neck tees, $21-28 for short sleeve. “You know how new sweatshirts are really soft until you wash them? I like these tees because they stay soft, like a brand new sweatshirt.” When men comment on a fabrication, you know it’s good. This fit model looks like a jailed junkie. They look better on real men. Bugatchi socks, $19.75. When we were in France, the only thing my husband bought for himself were French socks. 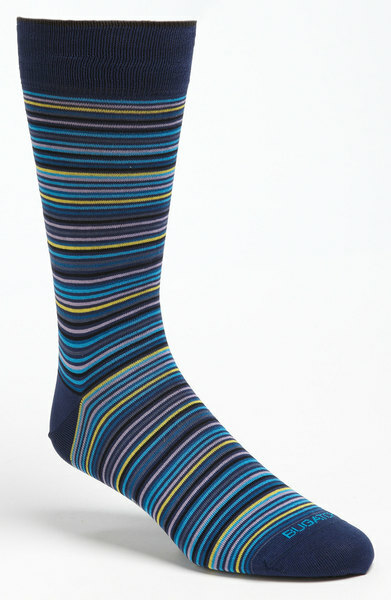 Printed socks are popular with men and give you a glimpse into their personality. I love finding an unexpected print peeking out of a serious suit. 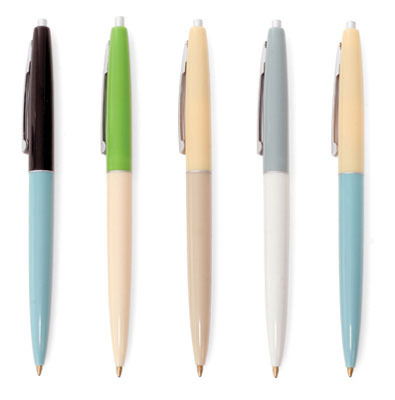 Bugatchi has fantastic prints and they last a very long time. Where to buy them? Of course….Nordstrom. Zappos also carries them. Dunkin Donuts coffee, roughly $10 for 12 oz. I had no idea there was a cult following to this coffee. A good friend of ours was harassed in the store for refusing to say ‘dunkaccino’, but still goes back for the coffee. I have heard from several men that this is the BEST coffee. Apparently a Southern California store arrival is causing serious excitement. While you are at it, pick up the disposable coffee cups from the grocery store too. Their convenience is appreciated by your man. Kiehl’s Products. 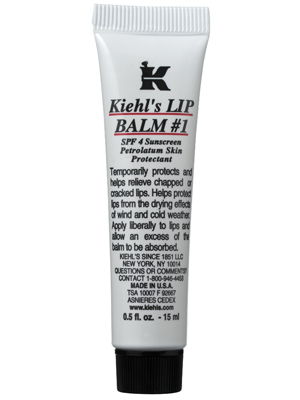 Kiehl’s has clean, neutral packaging, appealing to men. They are no-nonsense and straight forward in their promises and goals. From their men’s line, my husband likes their facial fuel. They also have the best non-scented lip balm. Bloomingdale’s has a good in-store shop. I find that their associates are honest about the products too.